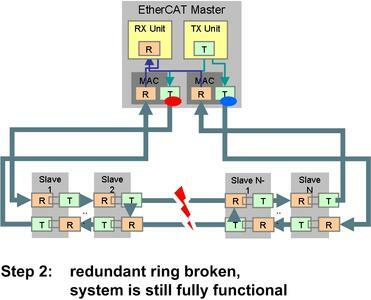 BoxId: 347168 – AT-EM EtherCAT Master Stack now supports hot-connect operation in redundant ring topologies. 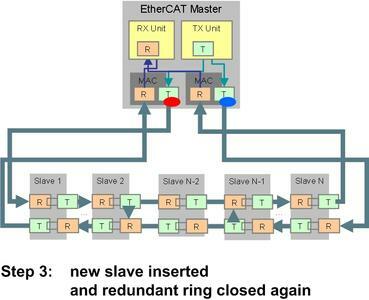 AT-EM EtherCAT Master Stack now supports hot-connect operation in redundant ring topologies. The acontis portable EtherCAT Master Stack AT-EM was optimized now to provide a wide variety of new configuration change operations in the secure redundant ring operation mode without interrupting an ongoing production. 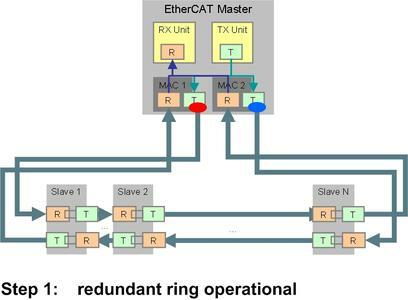 With the latest update of the EtherCAT Master Stack AT-EM, acontis introduced the combined operation of redundant ring operation mode and the hot-connect feature pack. 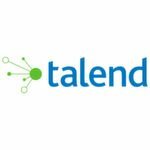 This enables customers to perform a broad variety of configuration change operations without having an impact on the productive availability of all connected components. An application which is configured to support redundancy (redundant ring topology) is connected twice with the control system where the AT-EM stack is running. 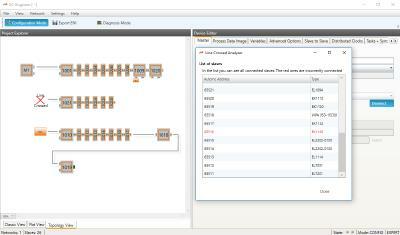 Machine operation continues without loss of process data if the link in between two slaves is broken. after opening the ring well defined parts of the machine (so called hot-connect groups) can be removed or added while the rest of the machine is still fully available and operating. After insertion or removal of one or multiple hot-connect groups the ring can be closed again without having an impact on the overall availability. By aims of this enhancement customers get the flexibility to enhance or shrink their application or exchange faulty parts without having an overall impact on production. acontis technologies provides solutions for Industrial Automation and Embedded Technology. 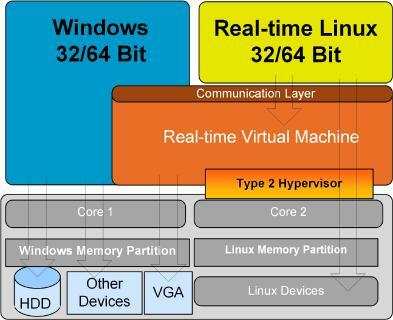 Real-time virtualization technology for Windows (the RTOSWin product family) and the AT-EM EtherCAT master stack for embedded real-time operating systems are the company's core products. Professional services cover integration services for our products as well as industrial communications and system/firmware software development.